Many different type of vendors will be represented, people who do direct sell businesses, those who sell product they make themselves and even a DJ service will be there to check out. No crowded aisles at this event, with the large area we have available, you'll be sure to have a nice relaxing time as you stroll along checking out all the great products. 'Like' our Facebook page and stay up to date on all the different vendors that will be there. 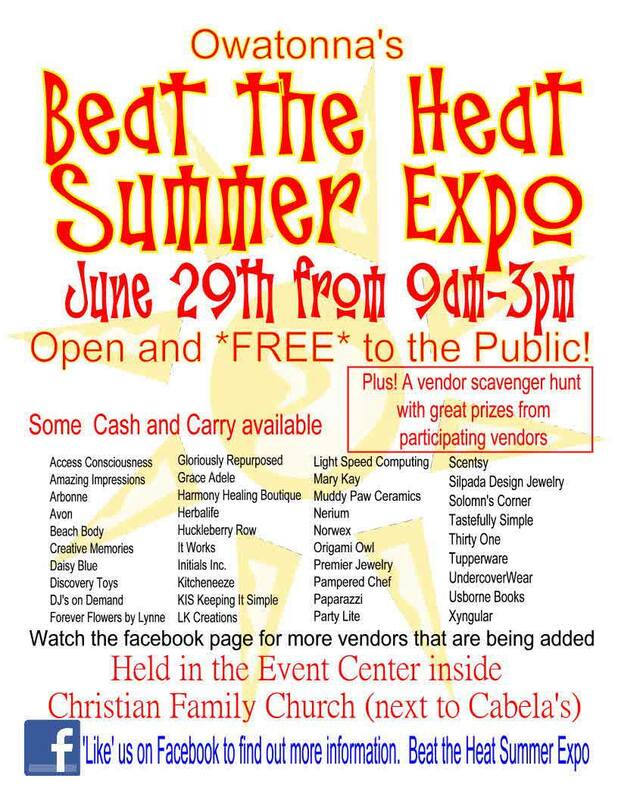 Beat the Heat Summer Expo.